The other day, someone asked me about our original launch and I realized we’d never put our first poster on the blog. 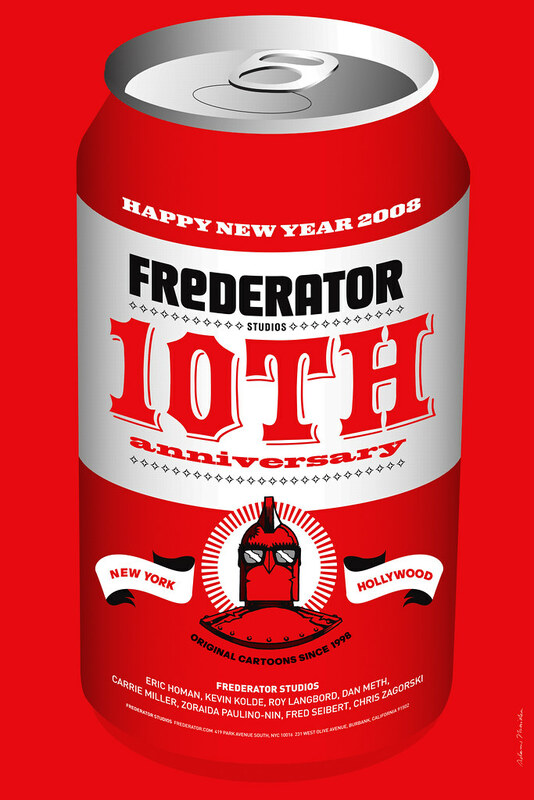 Frederator started up in January 1997 (our first cartoons were released in 1998) with me and Stephanie Stephens in North Hollywood, California. Our first office was a conference room at a temporary location of Nickelodeon Animation, before their Burbank location was fully built. 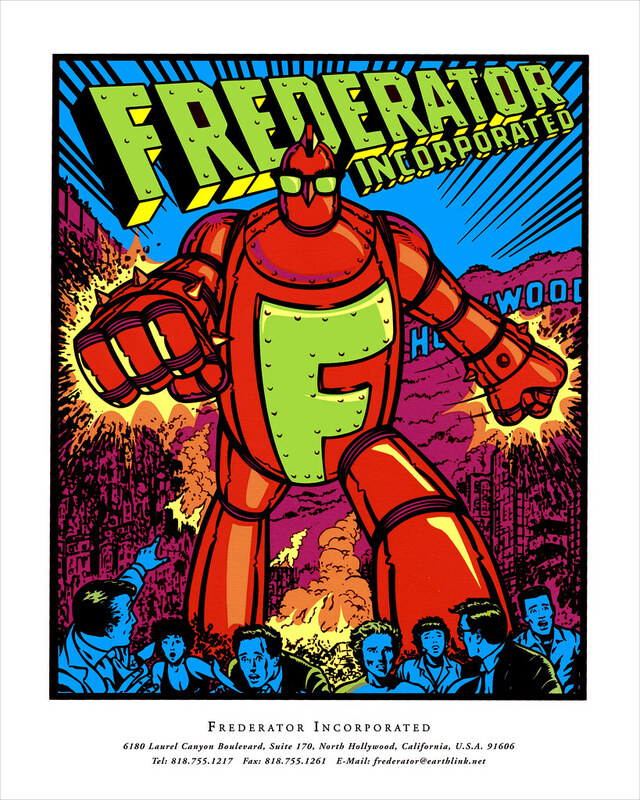 My friend, designer/illustrator Arlen Schumer created the Fredbot with this amazing present he designed and illustrated for us. Patrick Raske did the coloring, then we silkscreened a batch and sent them out as a birth announcement. PS: Eric Homan signed up in 1998, Kevin Kolde and Carrie Miller in 2005.